What haircare am I currently using? My hair has been through some terrible times recently. I am forever changing it and trying to bleach it or fade it out ready for the next colour change, meaning my hair gets in an awful condition. I am always trying to grow my hair and hate cutting it, I am pretty sure it just breaks of by itself half the time. I use so many products to try and improve the condition but often they can be too harsh for my hair. The last few weeks I have been using some more natural products as I am taking a break from bleaching/dying so I can concentrate on having healthier hair and trying to grow it. The two products I am using at the moment are from Pure Potions and are great for anyone with a sensitive scalp or anyone wanting to use more natural products and not harsh chemicals on their head/hair. They literally don;t contain any parabens or perfume or anything that can be bad! 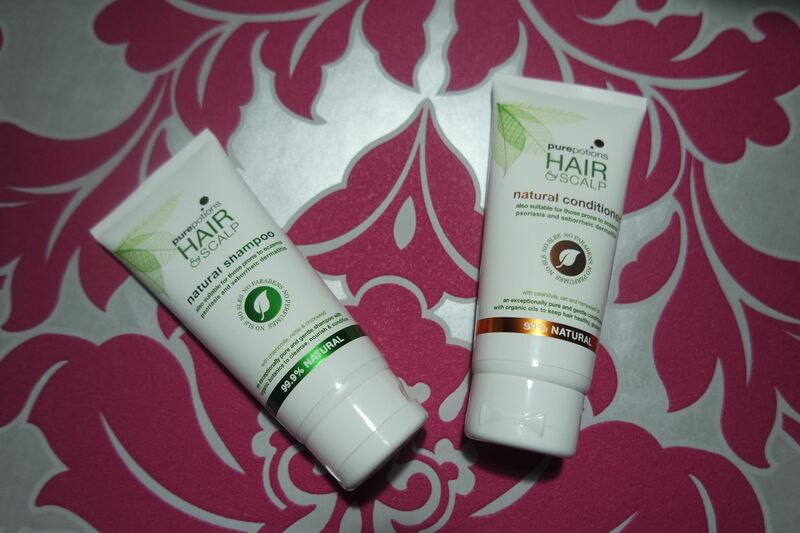 After using them my hair feels clean and soft, it doesn’t feel weighed down like it can with some conditioners. I wouldn’t say it has made my hair fade from blue particularly and I am used to it fading slightly with every wash anyway even if I use colour protecting products. I am pretty impressed with both products and you only need a small amount too which helps make the tubes last longer. Pure potions also do a great range of skincare so if you suffer from eczema or psoriasis they may be worth checking out! Previous Article Do you enjoy burning candles? I switched to all natural hair products a while ago – it took some getting used to but now I’m addicted to it. it does the hair so much good. This sounds like a product I would use! I’m in desperate need of a haircut. The ends are extremely dry and rough. I have been using this and loving it! Its so good that they don’t contain harsh chemicals! i got these too they are lovely arent they! I need some new hair care so will have to try this range! I’ve never tried these but I’m a hair care freak so they’re definitely on my list!